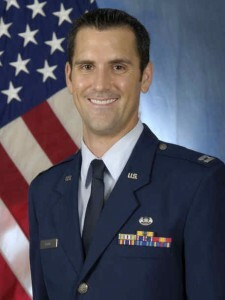 Mitchell J. Howie was born in Galveston, Texas. He lived there with his mother until his mom relocated them to California in order to pursue her education. He and his mother resided in Richmond, California for seven years. Upon completion of his mother’s education they relocated again to his family’s home Huntsville, Alabama where he began high school at Huntsville High. Mr. Howie has an extensive background in diverse legal areas. This allows his clients to benefit from the counsel of an attorney who understands all sides of the legal process. He has prosecuted hundreds of cases in the Dept. of Justice as a Special Assistant to the US Attorney and as a Judge Advocate General in the United States Air Force. As a proven trial attorney, Mr. Howie has developed expertise representing both plaintiffs and defendants. Mr. Howie primarily practices in Criminal Defense, Family Law, Military Divorce, Military Law, Military Defense and advocacy. In 2014 Attorney Mitchell J. Howie was recognized as one of the Top 100 lawyers by the National Trial Lawyers. Huntsville Attorney Mitchell J. Howie was also recognized as one of the Top 40 Lawyers Under 40 by the National Trial Lawyers and as one of the TOP TEN Criminal Defense attorneys in Alabama under 40 by the Prestigious National Academy of Criminal Defense Attorneys.